CreaseStream offer a range of high speed rotary crease solutions using their patented creasing rib technology. A host of tools for micro-perforating, slitting and kiss cutting make the CreaseStream range highly flexible and versatile. Why pay over the odds for high quality creasing when you can get exceptional results from an affordable desktop machine? High quality digital finishing is quick and easy with CreaseStream’s ground-breaking approach to creasing and perforating. All CreaseStream Mini machines feature the world’s first and only rotary creasing technology – developed by printers for printers. Our soft creasing rib gently stretches the material to create a deep, defined crease without damaging fibres in the stock, and our innovative feeding technology maintains a fast output – no matter how many creases you need. 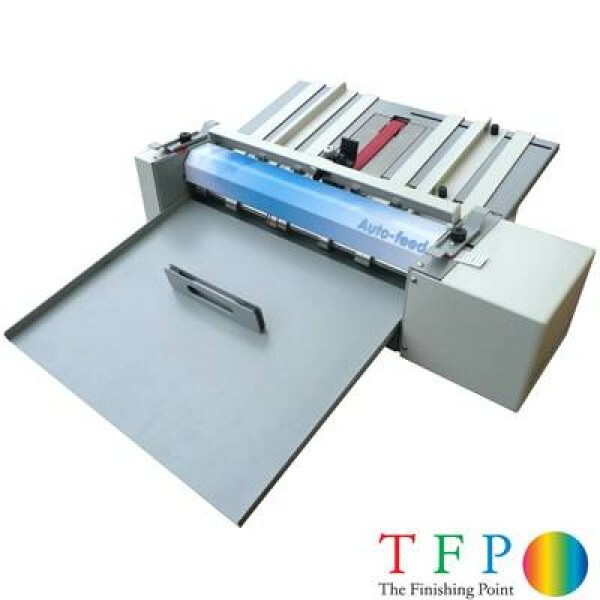 Card creasing machines come in all shapes, sizes and varieties with most opting for the traditional Matrix Bar style crease method which allows multiple creases to be applied in to your material in a single pass. The down side of Matrix mechanisms for creasing is their lack of productivity, especially at the entry level desktop end of card creasing machinery. Rotary Creasing using CreaseStream's patented reinforced rubber rib technology offers much greater productivity even at very low level machinery such as the compact and unique CreaseStream Card Creaser. Rotary creasing tools continually spin either under manual power using a crank or at the higher end motorised for more automated operation, due to the fact they apply the crease using a forward drive mechanism there is no delay in the processing speeds. 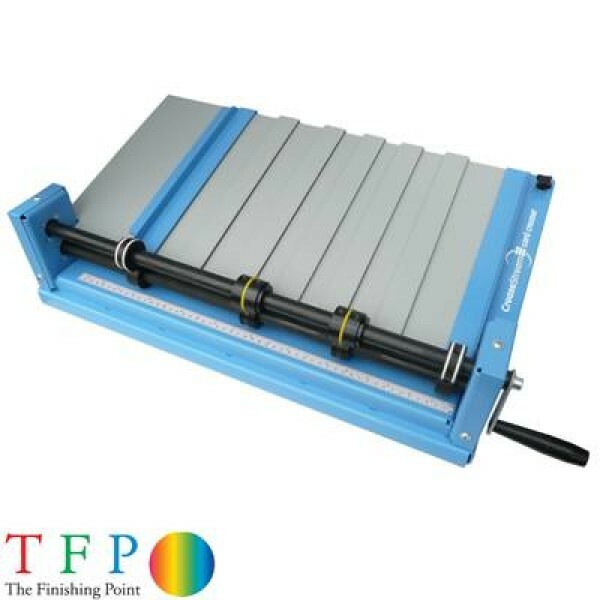 If you need to apply multiple creases you simply fit multiple tools and again no reduction in production speeds, this is simply achieved as the sheet being processed does not need to pause whilst the machine activates a matrix style platen to create the crease. Other advantages are the CreaseStream's ability to offer a high quality perforation in the same pass as the creasing is applied. As the perforation tools operate in the same way as the creasing tools the two formats can be applied simultaneously in the same direction, this enables fast production of complex products that would normally require two passes or production using a Platen Press. As listed above under the advantages section rotary creasing machines such as the CreaseStream offer a highly productive card creasing machine in a compact, low cost, desktop package. 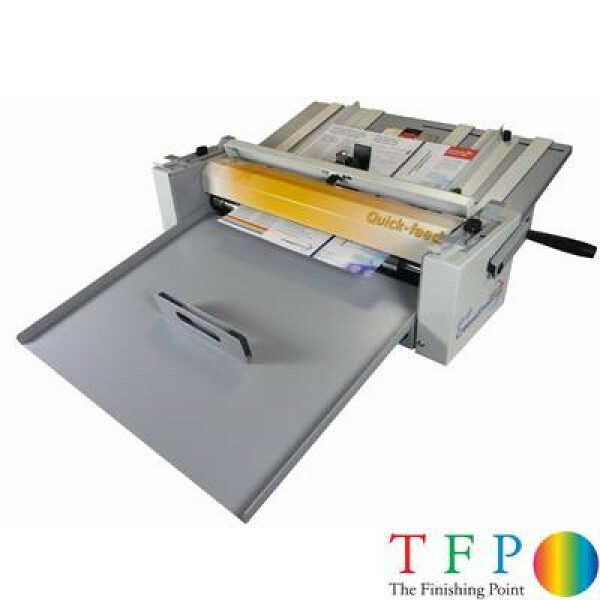 For instance, the CreaseStream Card Creaser can produce around 9-10 creased cards for every one on a manually operated matrix crease machine, that equates to over 500 cards per hour using the CreaseStream against around 100 cards using a manually operated matrix crease. 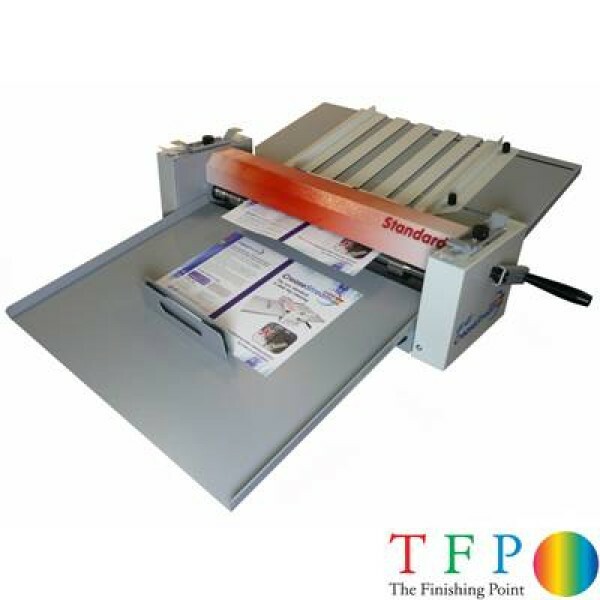 The advantages continue as you carry through the range with the CreaseStream Mini Quickfeed able to produce up to 3,000 creased cards per hour. The Mini Auto can produce up to 4,000 cards per hour and the range topping CreaseStream Pro a whopping 20,000 cards per hour.